TE Connectivity's Flex Grip Wire Connectors allow fast and easy termination to decrease installation time. 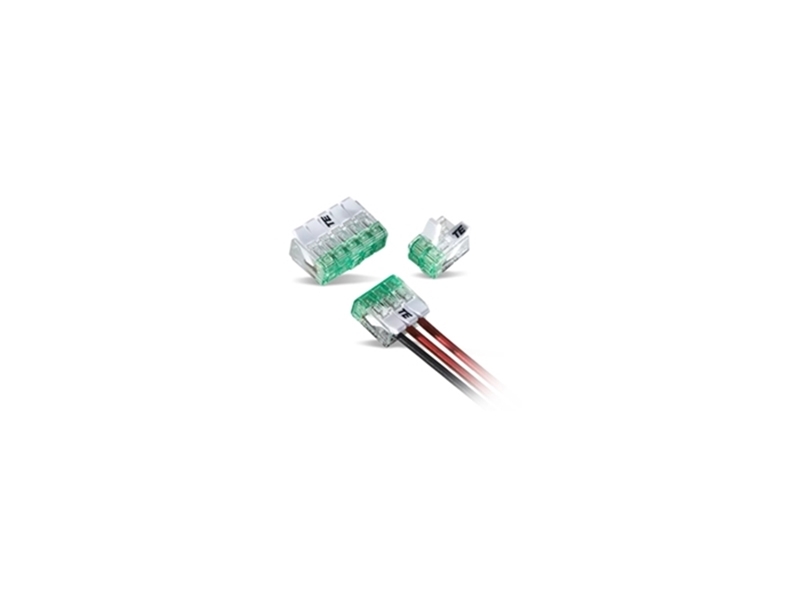 These TE push-in connectors accommodate a combination of 24–14AWG (0.2–4.0mm2) solid and stranded wires and include operating levers for fast, easy, and releasable wire termination. TE Flex Grip Wire Connectors feature clear housings to visually confirm wire insertion and proper strip length as well as achieving results with built-in test slots. These connectors are ideal for lighting and commercial building equipment, indoor, interior, retrofit lighting, home automation applications, and residential wiring systems.